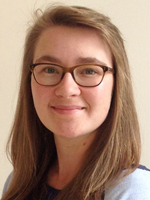 Alice is studying for an ESRC-funded DPhil in Human Geography at St John's college. Her research interests lie in media and migration, and specifically radio as an understudied space of knowledge production in Geography with the capacity to shape geographical imaginations. Alice is interested in how listeners are called on to imagine the spaces, places, and people that broadcasters describe and to actively construct ideas and imaginaries. She approaches radio as an increasingly malleable medium - disseminated across and accessed through multiple platforms from social media to podcasts - with rich potential for examining reconfigured listening practices and new spaces of consumption. Her thesis examines how migration is represented in BBC Radio and how, and in which spaces, imaginative geographies of migration are received and understood by listeners. The project seeks to reveal how radio impacts geographical imaginations and shapes public attitudes towards 'migrants' and 'refugees'. Alice holds an MA (First Class Hons) in Geography from the University of St Andrews and an MSc (with distinction) in Migration Studies from the University of Oxford. Whilst at St Andrews, Alice received the Miller Prize as the most outstanding, graduating student in the Faculty of Arts and the Royal Scottish Geographical Society Medal for the best Honours degree in Geography. At Oxford, Alice received the Examiners' Prize for the best overall performance in the MSc. Alice is a postgraduate fellow of the Royal Geographical Society and committee member of the RGS-IBG postgraduate forum. She is passionate about broadcasting and has gained work experience with the BBC. Outside of her studies, Alice produces and presents her own radio show, Oxford College Castaway, on Oxford University's student radio station and is captain of the Oxford University Ladies' Golf Club. NAMES (YEAR) TITLE. JOURNAL TITLE, ISSUE: PAGES.